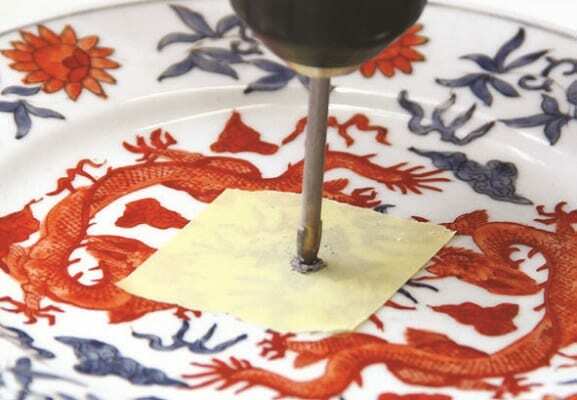 1.Mark the centre of both the bowl and side plate (or teacup and saucer) after covering the area with masking tape. Drill very slowly through the bowl and the plate. Remove the masking tape. Note: If you have a drill press, this would make the drilling much easier and more controlled. 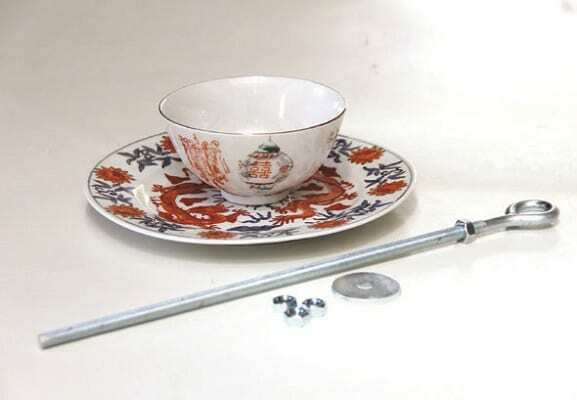 2.Thread a nut, then a washer, the plate (or saucer), a washer and another nut onto the eyebolt. Once the top nut is in place, tighten the bottom nut towards it to secure the plate on the bolt. This will be the roof of the bird feeder and will provide shelter for the birds and keep the seed dry. 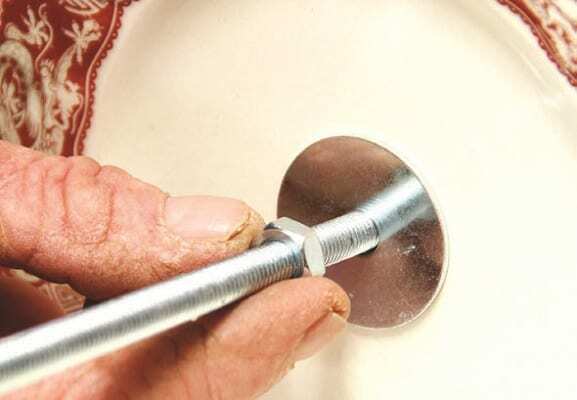 3.Thread a nut, then a washer, the bowl (or teacup), a washer and another nut onto the bolt. 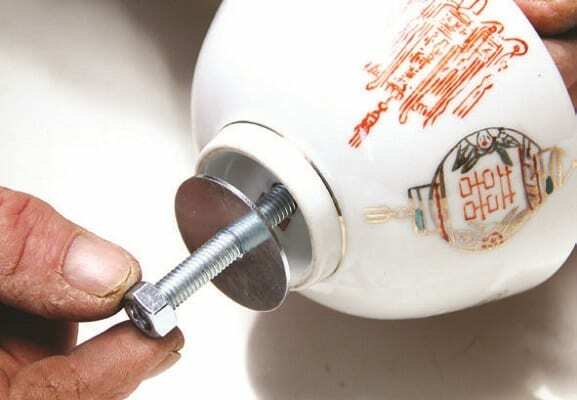 Hold the bottom nut on the end of the bolt and tighten the top towards it to secure the bowl in place. 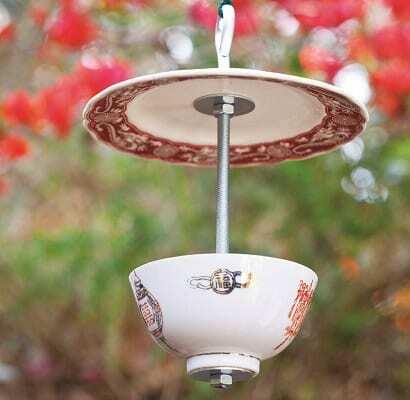 Fill the bowl with seed and hang your new feeder in a tree in your garden.